By now most of us are aware that the quality of our learning depends on a number of different factors, some of which are easier to control than others. But the more we understand about why and how everyday things can affect our ability to commit new information to memory, the more effective our learning will be. A growing body of research shows that even seemingly insignificant factors such as natural lighting, type of background noise, and the time of day we study can have a bigger impact on our productivity and learning than we ever imagined. Here’s a look what we know so far, and how you can optimise your environment and study routine to learn faster and get better grades. Have you ever noticed that you felt sharper and more alert when you studied first thing in the morning? Or maybe you tend to feel sluggish during early morning study sessions and prefer to get your studying done after lunch, or burn the midnight oil. Research shows that, in general, our cognitive processes are strongest in the middle of the day, while the ability to retain new information seems to dip in the early morning and towards the evening. Still, while some of us might get our best work done in the middle of the day, a recent study carried out by researchers from the University of California Berkeley and North-eastern Illinois University found that most of us are probably most productive and sharpest at different times of day. The researchers found that students whose schedules weren’t in sync with their “body clock” performed poorly compared to those who were able to structure schedule around their normal waking hours. With this in mind, they explain that when our peak alertness times are at odds with our study demands, our performance can suffer. So what can you do to make the most of these peak productive times of day? First of all, you need to know at what time of day you’re at your sharpest and most capable of learning. If you aren’t sure about this, start by keeping a study journal to track when you feel alert and productive vs. distracted or sleepy. Once you better understand your circadian rhythm, you can make an effort to tailor your study schedule around those times of day. Another factor that can have a big impact on our ability to learn is the environment we study in. Numerous studies have found that our surroundings can affect the way we think and learn, so it makes sense to optimise our learning environment in order to make the most of each study session. With this in mind, here are some of the most important things you can take control of to make your immediate surroundings more conducive to learning. Do you prefer to study with music playing in the background or in complete silence? Or maybe you enjoy studying with the busy hum of a coffee shop in the background. Whatever your personal preference might be, research shows that there are times to use background noise and music to your advantage and times to seek out silence for your study sessions. Low-level noise in the home or at school can disrupt our concentration and continued exposure to it may induce the release of cortisol. Having too much cortisol can impair function in the prefrontal cortex, which is the area of the brain that regulates executive functions like planning, reasoning and impulse control. So if background noise or music is distracting you or stressing you out while you’re trying to study, it will have a decidedly negative effect on your learning. On the other hand, some research also shows that low-level background noise and some types of music can help us focus. One study by Italian researchers found that classical music can significantly enhance working memory performance, which is the ability to hold and manipulate information in mind over shorter periods of time. However, another study from the University of Wales Institute in Cardiff shows that listening to music while trying to memorise things can impair your cognitive abilities, because the changing words and notes in the songs may throw you off. Other research published in the Journal of Consumer Research shows that a moderate level of ambient noise can help us think more creatively. How noise affects your cognitive performance may also depend on your personality type and whether you’re an introvert or extrovert. Research from Glasgow Caledonian University found that when people were exposed to different types of noise and music, they were more likely to have performance problems if they were introverts. This is likely because introverts are more sensitive to noise distractions and may be more easily overwhelmed by stimuli. So understanding your personality type and figuring out what works best for you is more important than following whatever the latest learning trend might be. Lighting is another thing that can affect our cognitive abilities, and research shows that dynamic lighting can support student performance in classrooms. For the best results, though, you should pay attention not only to the amount of lighting present, but the type of lighting too. Researchers have found that our body’s reaction to natural light is very different to that of artificial light. A study led by neuroscientist Dr Mirjam Munch found that artificial light tends to make us feel drowsy, whereas daylight helps us feel alert and focused. So if you want to optimise your learning environment, outdoor spaces or rooms with large windows and plenty of natural light are ideal. Of course, studying in natural light isn’t always possible, especially during the winter months when the days are shorter. Researchers in Austria found that students performed better on reading, writing and math exercises when they studied in classrooms with enhanced lighting (500 Lux) compared to those in classrooms with standard lighting (300 Lux). So if you can’t have natural light, the next best thing is to use extra bright lights. If your study space is tidy and completely free of clutter, you’ll likely feel more focused and persistent in your learning. But research also shows that a cluttered desk and haphazardly arranged room may spark your creativity. A study conducted by psychological scientist Kathleen Vos found that disorderly environments encourage people to seek novelty and unconventional routes. So if you’re brainstorming new ideas or working on a creative assignment, a little clutter can be a good thing. However, Harvard researchers found that people sitting at messy desks were less persistent and less efficient than those sitting at well-organised desks. People at messy desks also became frustrated and weary more quickly than those at neat desks. 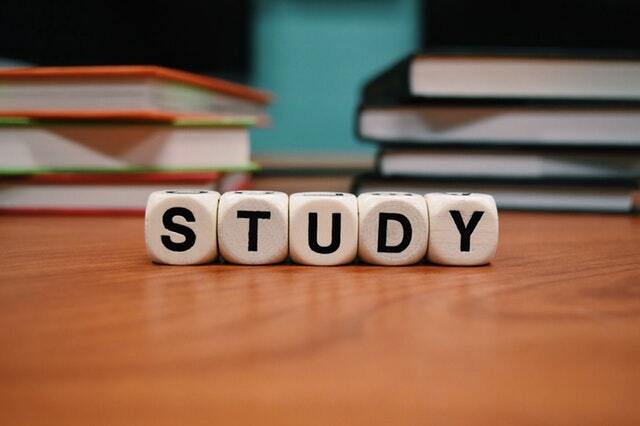 So while there seems to be an upside to both types of study environment, in most cases, you’ll need all the persistence you can get just to stay focused, which means it’s probably a good idea to give your room a quick tidy before you start studying. Most of us have a particular room or area where we like to study, whether it’s the kitchen table or a corner in our bedroom. But although routines are comfortable, studies show that if you want to make new information stick in your long-term memory, it can help to study in a variety of locations. This is because of what is known as context dependent memory. Research led by Dr. Robert A. Bjork of UCLA along with Steven M. Smith from the University of Wisconsin, Madison shows that our brain makes subconscious associations between what we’re studying and the background sensations we’re experiencing at the time. So by studying different types of learning environments—such as at home, at a local coffee shop, and at the library—you’re helping your brain make multiple associations with the same material. Doing this makes it more likely that you’ll be able to remember the information in a variety of different situations and apply it to real world contexts. Of course, it’s not always going to be possible to control every aspect of our study routine and environment. Sometimes we will have to study at times when our body clock is telling us to rest, and there will undoubtedly be occasions when we have to make do with an environment that isn’t optimal for learning, whether it’s too noisy, too cluttered, or not well-lit. Still, simply being aware of how our brain works and why certain routines and surroundings impact our ability to learn can help us become more efficient learners.